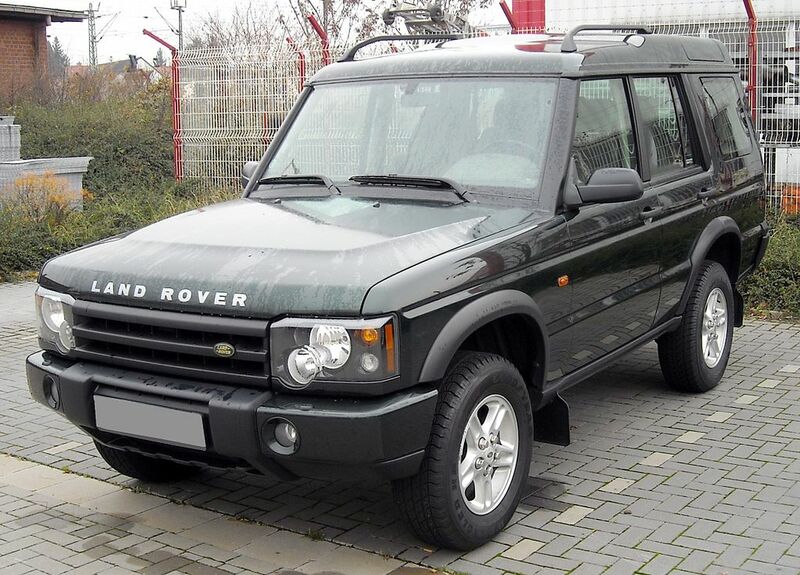 Although nearly identical in appearance to the Series I Discovery, the Discovery II was a completely different car. Designed by BMW (who owned Land Rover at the time), the D2 featured more modern electronics and a more conventional axle setup, along with the latest iteration of the venerable Rover V8. Though still very capable off-road, the D2 lost some of its abilities thanks to an extended trunk and the deletion of the center differential lock (which returned for the final model year in 2004). However, it was superior on-road, with more comfortable suspension and better insulation. Unfortunately, the Discovery II has not aged well. The “Bosch” variant of the Rover V8 used in the D2 is prone to catastrophic damage such as slipped cylinder liners and cracked engine blocks, and the car in general was subject to extreme cost-cutting by BMW – which means it was put together very poorly. The car is susceptible to an incredible amount of electrical problems, made worse by neglectful owners. When well-sorted, however, the D2 is a brilliant vehicle – it rides like a luxury sedan on the streets, and can go nearly anywhere off them. MY04 cars had a locking center differential and a shifter installed from the factory which used a cable to control it, as opposed to the previous generation Discovery which used a mechanical linkage that is less smooth and prone to seizing up. This means that MY04 cars are very desirable for off-road enthusiasts. Self-leveling rear suspension (SLS) – Air suspension on the rear axle only. This is very nice for towing or hauling heavy loads, as the car doesn’t droop under the weight. Active Cornering Enhancement (ACE) – Reduces body roll in corners. It can be identified by the presence of a reservoir with two caps and an extra pulley on the serpentine belt. It significantly improves drivability. Rear driveshaft has a “rotoflex” joint instead of a universal joint, which is a maintenance item. Once it starts to crack, it should be replaced. A lift kit can accelerate wear on the joint due to the change in geometry. “Three Amigos” – illumination of ABS, TC, and Hill Descent Control (HDC) warning lights usually caused by an ABS fault, usually a bad shuttle valve or wheel speed sensor. This problem is so prevalent that it is a running joke in the Land Rover community. It is usually fairly easy to fix and there is a bypass available for the shuttle valve. Fixing it is very important, as the car is essentially “one-wheel drive” with the traction control disabled, since all the differentials are fully open and there are no lockers. Ignition cylinder – it will probably be binding and require some fiddling to start the car or remove the key. Most cars have some special method to do the above, but eventually, the cylinder will fully bind and require replacement. Vehicles with Active Cornering Enhancement (ACE): Most owners don’t realize there is a filter that must be maintained. If the system is not maintained properly, it can be expensive to fix. Vehicles with self-leveling rear suspension (SLS): Like all Land Rover air suspension, it can be problematic. If it has been replaced with coils already, then don’t worry about it. Otherwise, check the air springs for cracking and make sure to take care of any leaks in the hoses and seals before they prematurely burn out the compressor. Vehicles with sunroofs: If the headliner is stained around sunroofs, chances are that the seals leak. This is a huge job to fix because it requires removing the entire headliner and sunroof assembly to replace the seal. Vehicles with heated windshields: Replacement is very expensive (especially for OEM-quality glass), so before buying a car, check that the windshield does not have any chips or cracks. Glass insurance coverage is highly recommended. MY03-04: Headlamp assemblies for these vehicles are expensive due to their rarity. While cracking/breaking is not a common issue (generally, it is caused by hitting something while going off-road), checking for it is highly recommended.